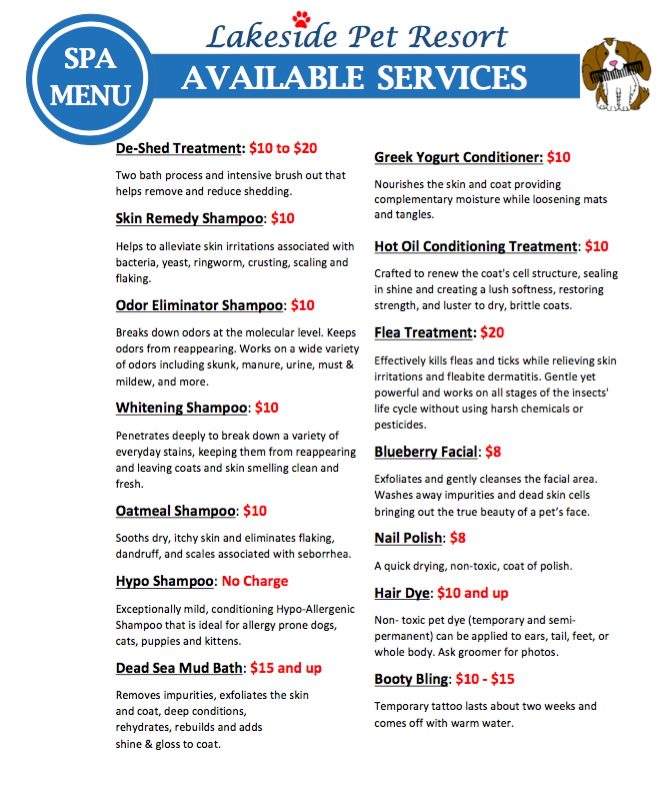 We are a full service grooming salon that gives baths and haircuts 7 days a week, call for pricing! *Spa Menu Options price does not include the cost of standard bathing. Call for details and pricing. Lakeside offers a full service grooming salon for your dogs or cats. All baths include a free nail clipping, ear cleaning, and brushing. Grooming appointments can be made without any boarding services. Prices are based on of many different factors specific to your pet. ​The prices listed in the table below are only estimates.